I threw a dinner party last weekend, and its theme was salmon; there were scant leftovers compared to most dinner parties, because of this focus I think. Still, the stray piece or two of salmon deserved a good encore, and after all the communal enjoyment, I was hard-pressed to find a way to do this since fresh fish stays that way only so long. 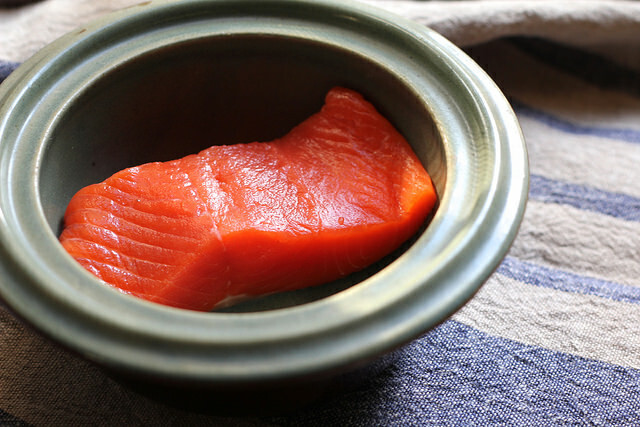 The dinner occasion was spurned after recently picking up my annual batch of Bristol Bay-caught wild sockeye salmon thanks to Iliamna Fish Co., run by Emily and Christopher Nicholson. For the last five years, I’ve been looking forward to September, when they bring their catch back to Brooklyn, frozen in solid fillets. It’s been a fun chore enjoying them with others throughout the years, too—and the best use I can find for really good ingredients is throwing an epic dinner party of sorts. A chunk of fresh sockeye salmon, lonely and leftover. So let me tell you, it’s a good idea to get all wound up in a dinner-party-throwing hullaballo. It may give you a major chore, yes, but also good times with people you love and really good leftovers—or things leftover to use in future meals. Just follow my logic here. Flaking apart after a quick broil. However, throwing a dinner party is such an immersive act for me that I can’t be bothered to blog or take notes on what I’m making. Life is too short and sometimes, memories just have to take the win. But for recollection’s sake—and for all the contributors to this dinner, from its eaters to its fish-catchers to recipe-authors—I will share the night’s menu for what it’s worth. 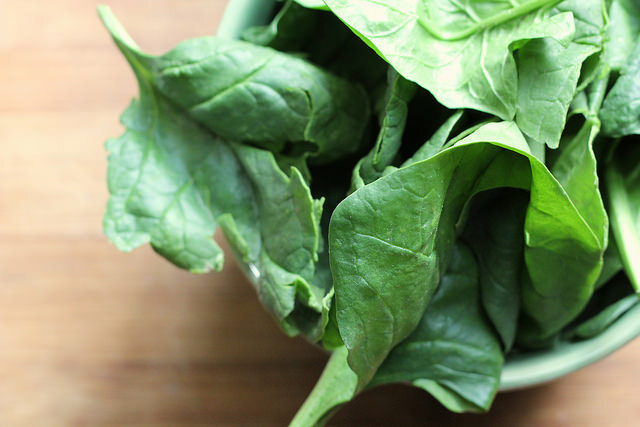 Fresh spinach for a little something else. The day after the dinner party, it was time to pick up my regular, vegetable-based CSA. I got spinach. I got leeks. I got potatoes. I had a soup in the works, although I didn’t know it at first. Who puts salmon in a potato leek soup? Adding just enough water to cover the softened potatoes and leeks. Well, I do, I decided. And I like to add spinach to it as well. There is something serendipitous about a local farm deciding what you’re making for dinner via their happenstance farm bundles each week—rather than your own calculating, brainstorming efforts. I relinquished in this luxury the Sunday after the dinner party, and made this unusually comforting soup. 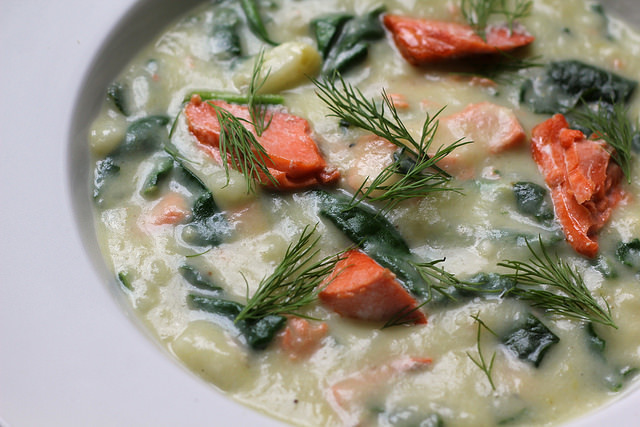 It follows the same pattern as any potato leek soup; only fresh, baby spinach and bits of cooked salmon are tossed in at the end. Along with that, some extra whole milk or cream, and a touch of dill for a garnish. I don’t understand why we always eat potato leek soup without spinach and salmon now. Perhaps like a blank canvas, potato-leek soup is ready and willing to be hospitable to any good leftover you might have. After a few quick pulses for a chunkier, half-pureed consistency. I decided to keep the soup a little chunky, only briefly blending the potato-leek-stock mixture after it had simmered a while, to create soft, irregular chunks of potato throughout (to go with the irregular chunks of broiled salmon and wisps of spinach). After eating the whole bowl shown in the photo above, I am just about ready to call for another salmon dinner another time soon. But how they should happen and why—and what you’ll learn or make from them as byproducts of the occasion—is the great and wonderful mystery of dinner parties. That’s exactly the fortuitous outcome that you’ll want to achieve. 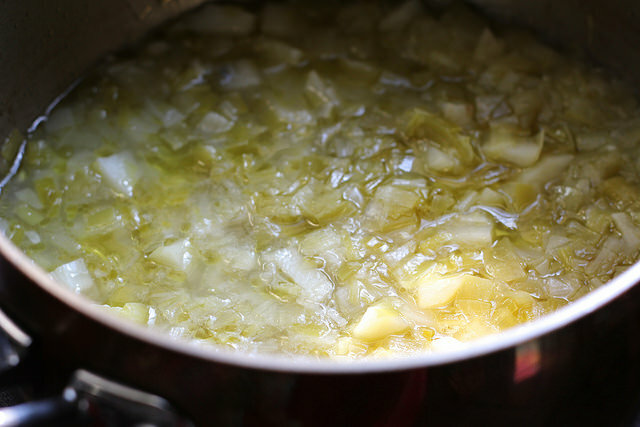 Heat the butter in a large saucepan or Dutch oven over low heat and add the leeks and a pinch of salt. Cook over low heat, stirring occasionally, until softened, 6-8 minutes. Add the garlic and cook, stirring occasionally, another minute. Add the potatoes and increase heat. Add enough water to cover the vegetables and bring to a boil. Reduce heat to a simmer and cover. Let cook for 20-30 minutes. Meanwhile, season the salmon with salt and pepper and coat with the olive oil. Place under a broiler for about 4 minutes, or until the piece is just cooked through. Remove from the hot pan. Flake the fish apart gently with a fork and set aside. 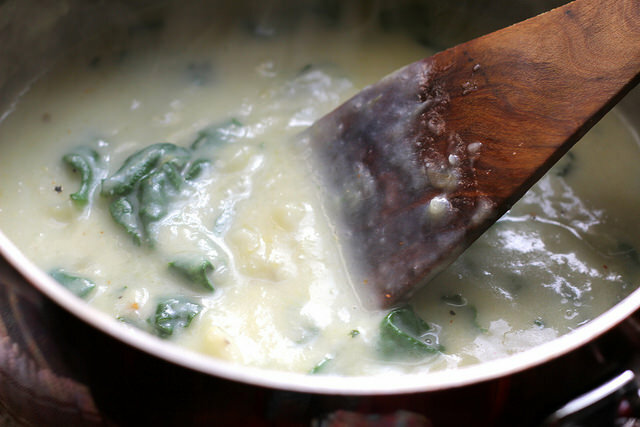 Using an immersion blender (or transferring carefully to a blender or food processor), briefly puree the soup until smoother and thicker in texture but retaining some visible chunks. Return to the stove over medium heat. Add the spinach and let wilt completely, stirring occasionally (about 2-3 minutes). Stir in the milk and add salt and pepper to taste. Do not bring the soup to a boil after the milk has been added. Finally, add the salmon pieces, stir once more, and serve with the fresh dill for garnish. Four brownie points: This soup feels, tastes, and smells deliciously rich—but it’s actually not. That velvety texture comes from potatoes, not heavy cream (adjust with more, less, or no butter or milk as you please). That’s the beauty of potato leek soup. But when you add spinach and salmon to it, it becomes a super-soup: loaded with omega-3 fatty acids and protein, and antioxidants from the superfood greens. Six maple leaves: Without the salmon and the small amounts of dairy, this soup would be a very healthful and season-appropriate vegan dream (read: low carbon toll). 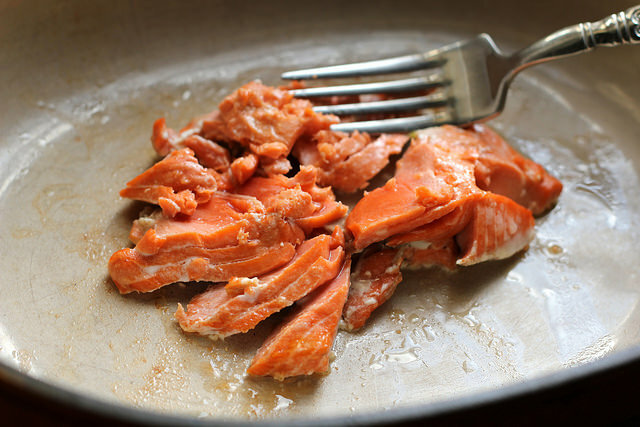 When adding salmon, it makes a difference where and how—or if—that fish was caught. Most salmon today is farmed, under questionable conditions that have raised both health and culinary concerns about its quality. Wild-caught salmon from one of the most sustainable fisheries, Bristol Bay, is exceedingly more expensive than farmed, but you’ll be supporting responsible fishery management in the region when you do splurge. I’ve never tried salmon in soup before but looking at those pictures, it does look very nice. @Justin from RI: I imagine very good quality canned salmon would work in a pinch. Also, for a much more robust flavor, why not smoked salmon as well? @Cathy Erway: That’s a pretty good idea. I’ve been looking for some interesting soup recipes so think I’ll give it a go. I am constantly looking for new and unique soup recipes. I think it comes from making Portuguese Soup with my grandmother as a child. This soup looks absolutely amazing. I have to say that I am not entirely crazy about salmon, but I’m really anxious to try this recipe. Thank you so much for this one! Well this is a really good dish to try, thanks for sharing. 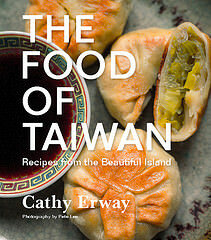 I just love soup.Love to read this recipe.Thanks for sharing.I must try at home. Potato Leek Soup is a sweet dish. thanks for sharing with. great job admin. thank you for this dish , its look very yummy thanks for sharing. Thanks for sharing . It s look very yummy and healthy. outlook customer support keep posting. Very good content I enjoyed it a lot keep sharing like this Thanks for sharing with us. I had this soup in Finland …it’s apparently common there. Good everyday food. Delicious! Your post is so good. i really like it. 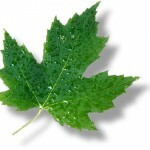 The AVG Secure VPN to help you get online and use a VPN to your advantage. You can use an AVG Secure VPN crack to help you with getting your connections ready. The setup helps you to make the most out of your effort without causing your data to be exposed to other people.